World Mental Health Day was on Saturday 10th October this year. Its a day that gives much worthy attention to mental health issues and their charities - awareness for something SO COMMON that is still not talked about enough. On this day last year I think last year I walked around London for CLASP charity. I'm not really sure if these "awareness" days really help - it certainly doesn't bring us any closer to a cure. Even though 1 in 4 people suffer, only 1.36% of this country's public health budget is spent on mental health. But perhaps by bringing the issues into the limelight, someone who may have been suffering in silence, might be given the confidence to seek help and talk to someone. I spent the afternoon at the Soho theatre watching Bryony Kimmings perform a piece of theatre with her partner Tim Grayburn about HIS depression. It was called Fake It 'Til You Make It. This show was performed in Edinburgh in the summer and I couldn't get a ticket. 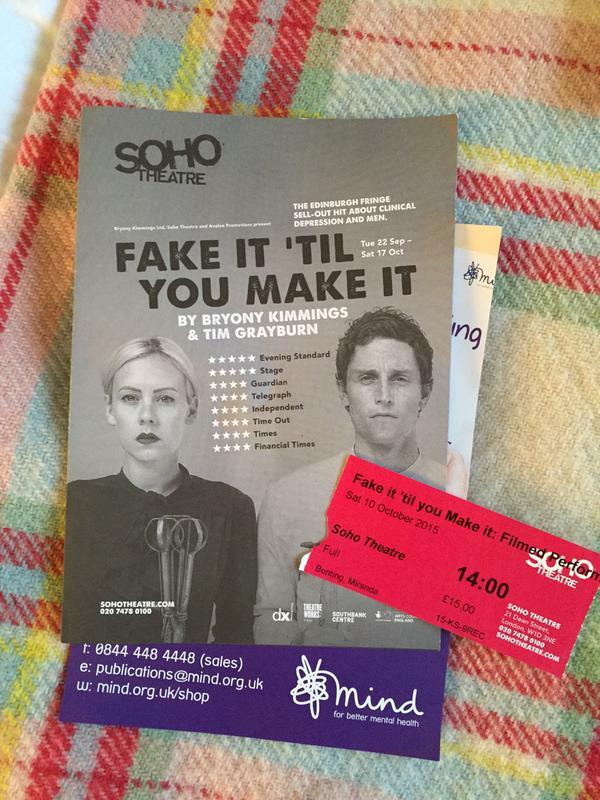 I then couldn't get a ticket in London but an extra performance was added and I was finally able to see it. 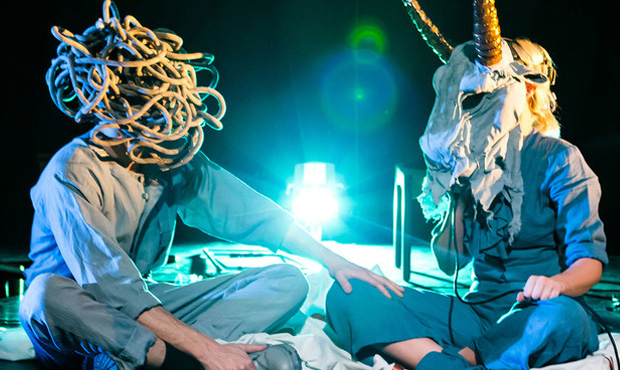 It was one of the most compelling and emotional pieces of theatre I have ever seen. Bryony was happily in a relationship with Tim but she discovered by accident after 6 months into the relationship that he suffered from severe depression and anxiety - and he had suicidal thoughts. She needed something out of his gym bag and stumbled upon a packet of antidepressants. Suicide is the biggest killer of men under 35 in the UK. Men find it PARTICULARLY difficult to talk about their feelings - especially if they are not ok.. Tim hadn't told anyone. And now the whole world knows because Bryony helped him to open up about it, get help and now they have written and are performing this show. He only agreed to do it with her if he was able to not make eye contact with anyone in the audience. So they performed it and the entire way through he wore sunglasses or a paper bag or a hat made out of cotton wool / or a very large muddled knotted rope (to represent his confused mind / thoughts ? - see below) so that we couldn't see his eyes. It was funny yet managed to address such a serious issue.. there is no doubt that both sufferers and their "other halves" would have come away with something to think about. But the huge part came at the end when he took his head gear off and he spoke directly to the audience. Bryony is about to have a baby so after this, they might not perform it for a while but look out for possible more dates next summer.... don't miss out like I nearly did. The Duke and Duchess of Cambridge played a prominent role in marking the day by attending an event at Harrow College. 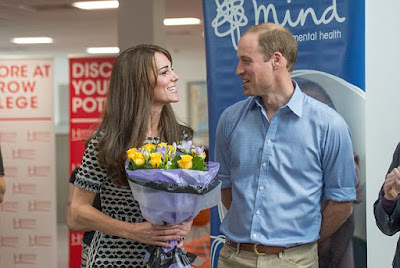 Its the second time in recent weeks that they have concentrated on mental health work - The Duchess of Cambridge also went to the Anna Freud Centre a couple of weeks ago.